Continuing a gradual global expansion, Apple Pay will arrive in Norway, Poland, and Ukraine within the next several months, Apple CEO Tim Cook disclosed on Tuesday. Cook didn't reveal any further launch details in the company's quarterly results call. Last May an Alfa-Bank executive claimed that Apple Pay would be coming to Ukraine sometime in the June 2018 quarter, consistent with Cook's comments. A December report claimed that Apple was planning a Polish launch as soon as the March quarter. While that fell through, a June-quarter rollout was considered more likely. The company was allegedly still negotiating transaction fees with regional banks — potentially a protracted process, given the reluctance of banks to split revenue. 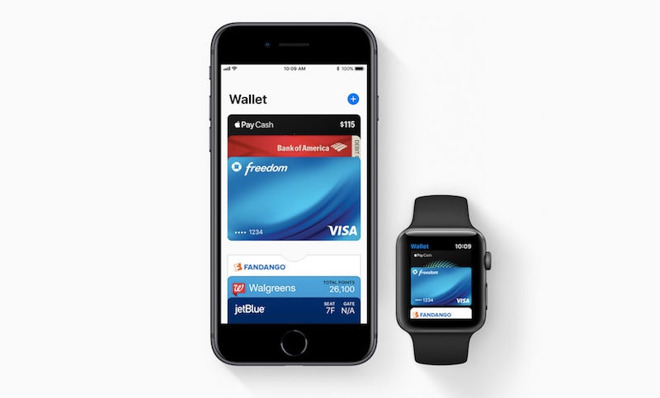 As for this quarter's performance, worldwide Apple Pay transactions tripled year-over-year in the most recent period, which would indicate significant popularity within the service's existing markets. Aside from the U.S., supported countries include the likes of Australia, Brazil, Canada, China, Japan, Russia, the UK, and more. Apple Pay debuted in the U.S. in October 2014. During 2015 only three more countries came onboard: Australia, Canada, and the U.K. Expansion finally accelerated in 2016 and 2017, but to date the only new country in 2018 has been Brazil. Supported devices were initially limited to the iPhone 6 and 6 Plus, but now encompass not just iPhones but iPads, Macs, and the Apple Watch.